When you want to look your best, you might start surfing the web to find the latest developments in beauty care. You may even hop on social media to find out what treatments some of today’s hottest celebrities just can’t live without. 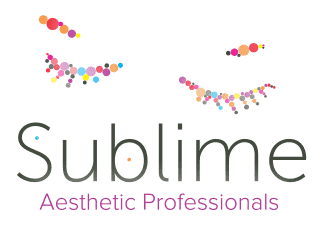 Here at Sublime Aesthetic Professionals, we’re up to date on aesthetic therapies that work to minimize the effects of aging and leave your skin looking refreshed. We know that the best-looking faces out there, famous or not, are turning to the combination treatment of microneedling and PRP. Here are the essentials you need to know to decide if it’s the right combo to rejuvenate your skin. Before we discuss the two treatments together, let’s review the basics of these aesthetic procedures. For microneedling, your aesthetic specialist uses small needles to prick the skin to stimulate the production of collagen. Collagen is a protein that naturally occurs in your skin and helps to keep your skin looking smooth and firm. Platelet-rich plasma (PRP) injections use one blood component -- platelets -- to promote a healing response in your skin, which can minimize lines, wrinkles, and the appearance of scars. You might have heard this treatment called a vampire facial in years past. However, with advancements in the aesthetic industry, we can do this treatment in a manner that produces milder redness to your face. If you’re looking for an all-natural treatment to minimize the effects of aging, PRP and microneedling done together might be for you. This combo combines two proven treatments to get added benefits and help place PRP into open channels of your skin. The PRP mixture is placed on your skin just after the microneedling is performed. The tiny channels become a pathway for the PRP to go deeper into your skin where you can get the greatest results. How is the PRP and microneedling combo performed? You’ll only need to plan a few hours for this all-natural treatment. When you arrive at our office, we’ll have you slip into a gown and show you to a comfortable room. Before we start, our care team will apply a numbing cream to your skin which will need to sit for about 30 minutes. You can just relax while this is taking effect. While you're relaxing, we draw blood from your arm or hand. This blood is placed in a machine called a centrifuge, which spins the blood to separate it into the different portions that make up your blood. The platelets are separated from the rest of the sample of blood that was drawn. When the procedure starts, your provider moves the microneedling device over your skin to make channels in the skin. We place the PRP solution onto your skin to let your skin soak up the rejuvenating components of the solution. The tiny wounds allow the PRP to penetrate deeply. For a few days after the treatment, you might notice some minor redness and irritation. We give you a healing lotion you can use to soothe these symptoms. Once the effects go away, you start to notice firmer skin. Because this treatment isn’t surgery, it won’t last long term. We create an individualized plan of care that might include a few treatments. Once you’ve reached your desired effect, you will need to come back about once a year for maintenance treatment. Are you ready to schedule your PRP and microneedling combo to rejuvenate your skin? Call our Grand Forks or Minot office or use the online booking tool to reserve your appointment.